Book Summary: Why are three goals called “a hat trick”? Why is “Take Me Out tothe Ballgame” sung during the seventh-inning stretch? Why don’t theCleveland Browns have a logo on their helmet? Why do golf balls have dimples?Why do Olympic swimmers flip when they turn at the end of the pool? BIG Book of Why:Sports Edition answers these questionsand more with in-depth explanations on the science, history and origin ofsports, with photos and illustrations that help make the information easy todigest. Divided into four levels of difficulty – a professional level, anAll-Star level, an MVP level and a Hall of Fame level – it is themust-have book for any curious young sports fan. 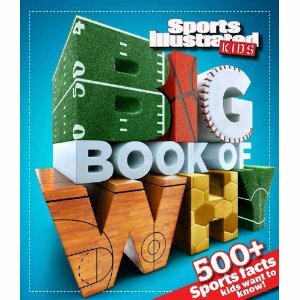 BIG Book of Why:Sports Edition is filled with 128pages of the dynamic content for which Sports Illustrated Kids is known. This new book entertains as it informs young mindsand focuses on the fun kids derive from their enjoyment of sports. A four-partinteractive quiz at the back of the book invites readers to find the biggestadult sports fans they know and attempt to stump them with the fascinatinginsider knowledge provided within the pages of the book. About Sports Illustrated: SI is a multimedia sports brand that takes theconsumer into the heart and soul of sports. The SI franchise is anchoredby Sports Illustrated, the mostrespected voice in sports journalism which reaches a weekly audience of nearly21 million adults, and www.SI.com, themagazine’s 24/7 sports news website that delivers more than 150 originalstories to its users each week. The SI franchise also includes Sports Illustrated Kids (www.sikids.com), a monthly magazine targetedto kids age 8 and up; Golf Magazine and www.Golf.com; www.FanNation.com, a social networkingand sports news aggregation platform; www.SIOncampus.com,a website dedicated to college sports and the college sports lifestyle; SIPresents the magazine’s specialty publishing division; as well as SIBooks, SI Pictures, SI Productions, SI Digital and SI Events. Founded in1954, SI is a division of Time Inc., the world’s leading magazine publishingcompany and a subsidiary of Time Warner. Heather’s Review: We are huge MLB fans at my home so when this book showed up in the mail it was an automatic hit! The large illustrations and glossy pages draw in children of all ages. 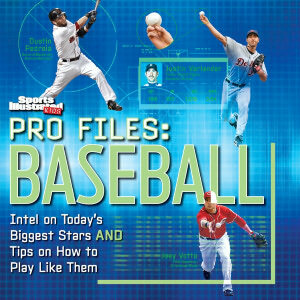 Pro Files gives young players tips on how to be a better baseball player and stats on all of their favorite players. With background reports, inside information, quotes from big time pros and skill drills this book has it all. I think it is perfect for children grades 2-6 and I would recommend it to avid adult fans as well. This book hit shelves at a perfect time with Spring training is in full swing and the regular season about to get started. A great gift for your little leaguer! For more information, visit www.sikids.com/profilesbaseball.